Adopted in 2010, the European Disability Strategy 2010-2020 (the Strategy) has the objective to “empower people with disabilities so that they can enjoy their full rights, and benefit fully from participating in society and in the European economy.” The Strategy is the main instrument for the European Commission to support the implementation of the United Nations Convention on the Rights of Persons with Disabilities (UN CRPD), which was ratified by the European Union (EU) and all its Member States. After the 2016 mid-term review and following a Progress Report on its implementation the following year, the European Commission decided to have a consultation process in 2019 to gather feedback on the Strategy and its implementation in view of its end in 2020. 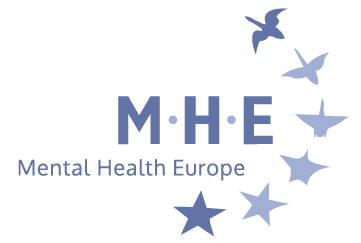 Mental Health Europe (MHE) prepared this assessment to have a more comprehensive evaluation accompanying its response to the online survey launched by the European Commission in March 2019. Building on our 2016 position paper on the public consultation on the mid-term review of the Strategy, this paper aims to provide more in-depth consideration on the Strategy vis-à-vis the rights of persons with psychosocial disabilities. This assessment should be used as a baseline for discussions and feedback to the evaluation process that is being carried out by the European Commission. As highlighted in the 2017 Progress Report, the Strategy has been instrumental in providing a framework in which policies and legislations could be proposed to promote and protect the rights of persons with disabilities within and outside the EU. This is the case, for instance, when looking at the areas for action on Accessibility and External Action, where most progress and success has taken place in the past years. However, proposals based on the eight action areas of the Strategy have not always led to ambitious policies, nor have led to the rights of persons with disabilities to be fully mainstreamed in all EU actions. As it was adopted in 2010, the Strategy does not mention relevant policy developments that have taken place after its adoption, nor were these integrated after the 2016 mid-term review. Besides not covering all the provisions of the UN CRPD, the Strategy does not include the Concluding Observations (COs) to the EU by the UN CRPD Committee. The COs provide a review of the implementation of the UN CRPD by the EU and ad-hoc recommendations on actions to take to realise the rights of persons with disabilities, including persons with psychosocial disabilities (e.g. paragraphs 27, 37, 40, 50 and 64). It is therefore a pity that the Strategy was not designed nor reviewed to cover all the provisions of the UN CRPD and the COs. In addition, the Strategy does not include the 2030 Agenda and the Sustainable Development Goals (SDGs), the European Pillar of Social Rights nor the European Framework for Action on Mental Health and Wellbeing. The integration of these instruments in the Strategy would have allowed for a more comprehensive Strategy with ambitious objectives and improved outcomes. The lack of adequate mainstreaming of disability in all EU actions can also be connected to the lack of coordination among the Strategy, the EU’s economic strategy (Europe 2020), the EU’s economic governance (the European Semester) and EU funding (e.g. ESF, ERDF, Erasmus+, etc.). As acknowledged in the COs and the 2017 Progress Report, the challenging economic situation has had a particularly negative impact on the rights of persons disabilities. These consequences, however, were not addressed by the instruments designed to overcome the economic crisis, namely Europe 2020 and the European Semester. While it is undeniable that in the past year the EU’s economic strategy and governance have taken a social turn with a better inclusion of disability issues, it is still a pity that this happened only after the adoption of the European Pillar of Social Rights in 2017 rather than being covered since 2010, when the Strategy was adopted. MHE calls the European Commission to renew its commitment to the promotion and protection of rights of persons with disabilities, including people with psychosocial disabilities, by adopting a comprehensive post-2020 European Disability Strategy which fully integrates and creates synergies with the latest policy, legislative and governance frameworks. In particular, MHE calls for the European Commission to adopt a new Strategy that covers all the provisions of the UN CRPD and addresses the 2015 Concluding Observations of the UN CRPD Committee. The Strategy identifies eight areas of action. MHE is appreciative of the fact that some of the areas identified in the Strategy are particularly important for persons with psychosocial disabilities, including those on participation, equality, employment and health. However, the Strategy takes a broad approach to disability, without making distinctions among its various forms. MHE understands that the Strategy has a general approach, unfortunately this has failed to recognise that different disabilities mean different barriers, needs and support. Taking a broad approach to disability risks to lead to the counterproductive effect of neglecting the needs of some persons with disabilities. 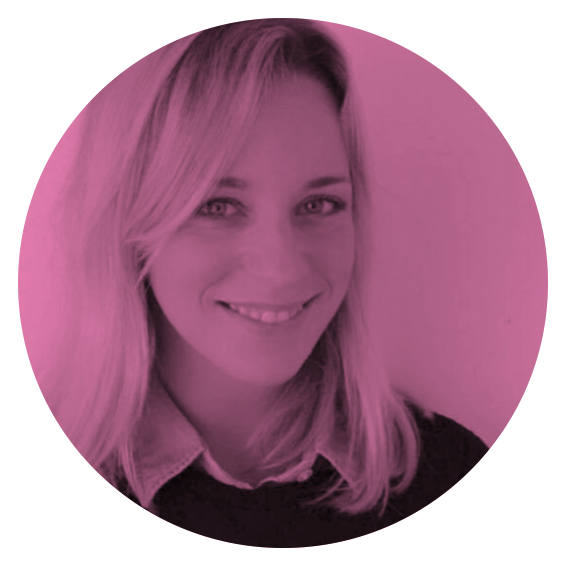 Visible disabilities and the barriers that that persons with them face (e.g. accessibility and mobility) tend to be the primary focus of broad disability policies. Such policies, in turn, might fail to adequately address the needs and barriers faced by persons with invisible disabilities, such as persons with psychosocial disabilities, as well as emerging issues such as disability and migration. MHE calls the European Commission to renew its commitment to the promotion and protection of rights of persons with disabilities, including people with psychosocial disabilities, by adopting a comprehensive post-2020 European Disability Strategy with an area dedicated on autonomy. The new Strategy should also better adapt to emerging policy areas, including migration and mental health of migrants. The Strategy has been instrumental in ensuring the involvement of persons with disabilities and their representatives organisations in EU decision- and policy-making processes. Furthermore, through the Rights, Equality and Citizenship programme, the European Commission has allocated funding to support the implementation of the UN CRPD and to finance organisations working in this field. While it is undeniable that the Strategy has been a key instrument for the European Commission to advance and promote the implementation of the UN CRPD, it is also true that the Strategy, as a non-binding document with no allocated budget and no mechanism to monitor its implementation, was limited in scope and had limited results. In addition, there was no mention of the Optional Protocol to the UN CRPD which, if ratified, would allow persons with disabilities in the EU to lodge complaints with the CRPD Committee. MHE believes that ratifying the Optional Protocol will provide a key mechanism for European citizens to exercise their rights and seek the implementation of the UN CRPD. What was missing from the 2010-2020 Strategy is a stronger political commitment from all EU institutions that goes beyond the work that can be done by the European Commission and by non-governmental organisations working on the rights of persons with disabilities. A plan for the ratification of the Optional Protocol to the UN CRPD. 1.Page 4 of the European Disability Strategy 2010-2020: A Renewed Commitment to a Barrier-Free Europe. 2.Paragraph 37 of the Concluding observations on the initial report of the European Union. 3.Paragraph 41 of the Concluding observations on the initial report of the European Union. 4.Paragraph 35 of the Concluding observations on the initial report of the European Union. 5.Paragraph 9 of the Concluding observations on the initial report of the European Union.